The sumptuous tableaux that form the prologue of Melancholia serve as a kind of anti-spoiler warning. Lars Von Trier's last film, Antichrist, had an opening sequence that precipitated the ensuing horror and disgust without really anticipating how far he was willing to go. Here, he leaves even more to the imagination, stringing an awe-inspiring trail of breadcrumbs that are revisited in a more humanistic - even banal - fashion. It's an unexpected emotional apex that belies the close-up examination of depression that comprises the rest of the movie. 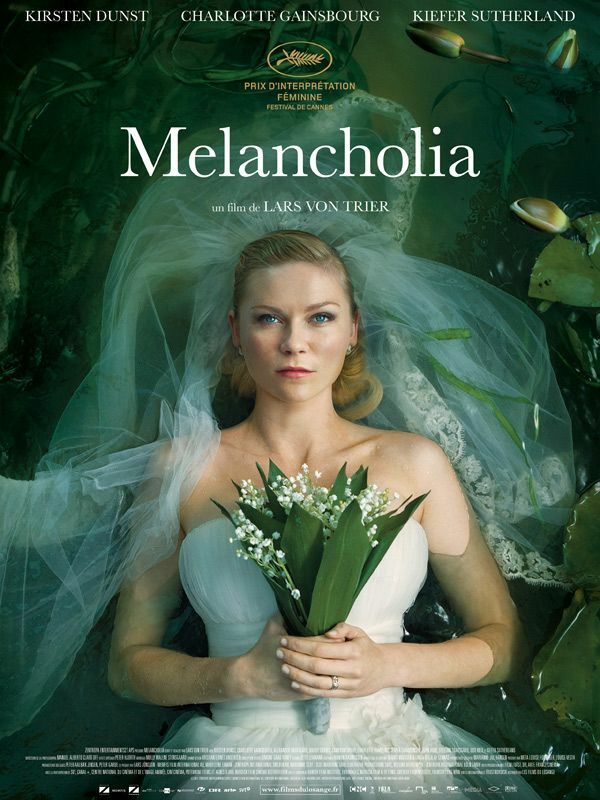 Half mordant comedy of manners, half apocalyptic drama, Melancholia has almost all the humor, heart, and hopelessness you could want in a caustic valentine to the frailty of feelings. Kirsten Dunst stars as a restless bride struggling to enjoy her wedding reception on the rambling country estate of older sister Charlotte Gainsbourg in the film's first half; later, the high-strung Gainsbourg freaks out as an ostensibly harmless planetoid named Melancholia passes perilously close to Earth while a visiting Dunst seems to grow less despondent as Armageddon approaches. (Note to future scientists: do not name harmless planetoids after states of crippling emotional distress.) The two women are chips off the same passive-aggressive block - even if Dunst somehow avoided inheriting the accent of screen parents John Hurt and Charlotte Rampling - but they both have a kind of savvy that eludes Gainsbourg's dismissive husband (Kiefer Sutherland) and Dunst's impotent new spouse (a hilariously cuckolded Alexander Skarsgard). Their bond is a complex potion of pain and camaraderie that allows them to face even certain death together. When Gainsbourg says "Sometimes I hate you so much" to Dunst, it's just an old sibling code that means something like "I need you so much it makes me feel helpless." The diptych structure favors the wedding portion of the movie, full of color and character in a way that just isn't possible with the ticking doomsday clock of the latter portion. But, boy, does Melancholia end with a bang. The message seems to be that sadness and worry can be beneficial when expressed at the appropriate time and place, but harmful when repressed and internalized for too long. Which is, like, duh, but Von Trier articulates this all with an artistic and sympathetic eye (he reportedly suffers from sporadic bouts of depression) that makes the end of the world feel like poetic justice for the human race's optimistic hubris. Above all, though, Melancholia asserts that there's nothing to fear but loneliness: even if you're going down with the ship, you'll be better off with all hands on deck.